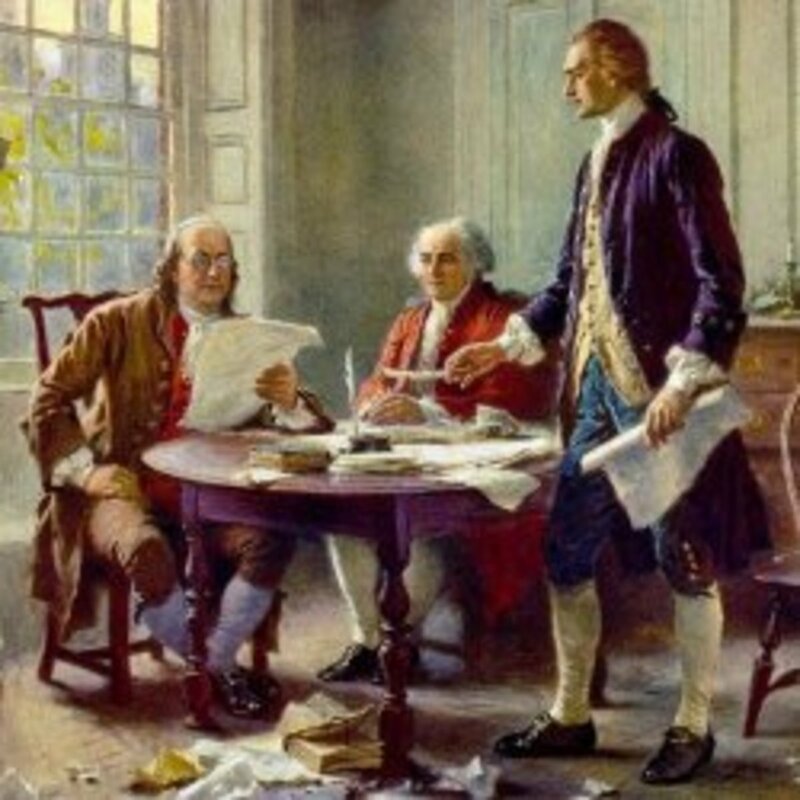 During the American Revolution, the patriots not only decided that they wanted their independence, but they determined to write their own songs to commemorate their new found freedoms. During the French and Indian War, Dr.Richard Schuckburgh, a British surgeon sat on a well sweep across the Hudson from Albany. Across the way, lanky, lean-jawed colonial militia shuffled across the parade ground. Their windpipes jutted from their throats like fifes in pigskin cases. They talked through their noses, and guzzled hard cider like water. It was estimated that each New Englander drank an average of a barrel of hard cider per year. Dutchmen in New York called them Johnnies, or as the Dutch said it "Yankees". The good doctor decided to poke fun at the gangly fellows and jotted down a stanza of verse which he read at the officers' mess. He called it "Yankee Doodle" and let it to an old folk tune. His fellow British officers didn't take to the song, but surprisingly, the New Englanders themselves did. The Yankees hummed their theme song for the remainder of the war while Scotch Highlander pipes played. They marched up the road to Lake George, to Ticonderoga, to Crown Point, and Quebec. The context of "doodle" in the song is thought to be derived from the Low German dudel meaning fool or simpleton. "Macaroni" comes from the macaroni wig which was slang in the day for foppishness. Men who wore macaronis appeared effeminate. The verse therefore implied that the Yankees were so unsophisticated that they believed that putting a feather in his hat made them them the height of fashion. It also insinuated that Yankees acted more like women than like me. The song gave them an identity that was separate from the British who sneered at them and the British ways. As time went on, the Yankees added their own stanzas to the song. What Dr. Schuckburgh didn't realize that he was helping kindle the fire that would one day become the American Revolution. Today Yankee Doodle is the State Anthem of Connecticut and is often sung as a children's patriotic song. William Billings' song "Chester" became the unofficial anthem of the American side, This song was the battle hymn of the American War for Independence especially in the New England states. 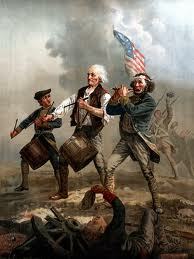 The song said that God was their side against King George's tyranny so Patriots should remain strong. The Song Stony Point was written to commemorate when General George Washington's and General Anthony Wayne's wits and maneuvering retook Stony point from Sir Henry Clinton. Born in Wilmington, Delaware, Captain George Bush was an officer in the Continental Army during the Revolutionary War. As he travelled in the service Bush carried his fiddle and in 1779, stationed in Sunbury, Pennsylvania, he began to enter music, dance figures and song lyrics into a small pocket notebook. He copied songs about being a soldier and about love and women; minuets, marches, and other airs; and the figures and music for a number of country dances. His songs included songs of war, A Soldier’s Song, O! Say Bonny Lass, The Drum, How Luckless the Fortune The Tobacco Box, A Soldier’s Farewell, War’s Alarms, A Song Compos’d by an American Officer, Poor Jack, On May, Saw You My Hero George. He had songs written by an enlisted man, Patrick, The Wealthy Fool, The Twins of Latona. 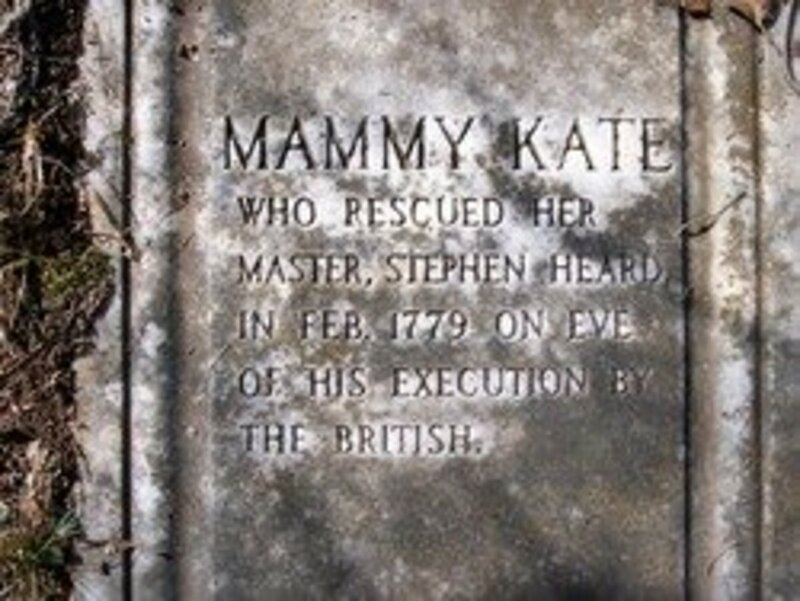 He also had songs of the hunt and the tavern, A Hunting Song, Padlock , Fair Daphne, Ye Mortals Whom Fancies ,The Duke of Leeds, The Royal Arch, The Mind of a Woman. 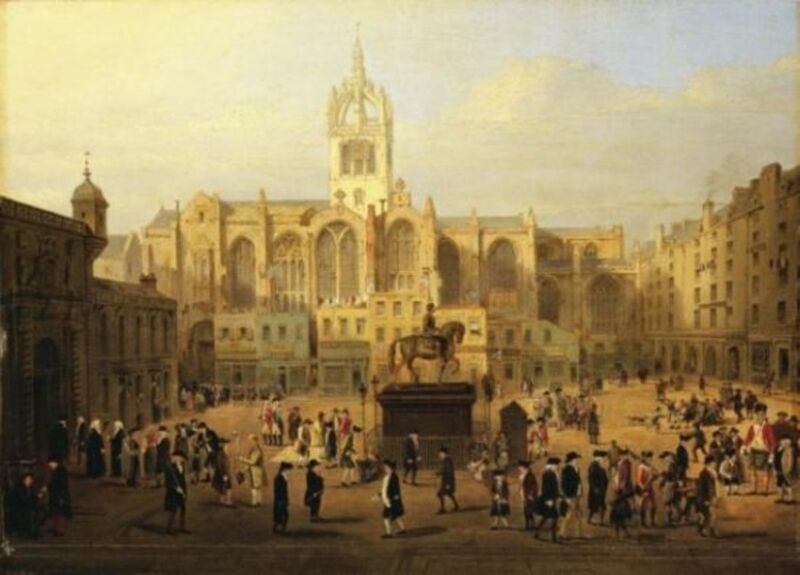 Lonely men often thought of Love and he included love songs as well such as A New Song, Alloa House, Spring, Song, Return Enraptured Hours, Winter, Ephigene, The Lass of Paties Mill, Katharine Ogie, and Jockey and Jenny. Somehow he obtained and bound a single sheet from a mid-century printed collection of Scottish country dances into the notebook as well. Bush’s music has been painstakingly edited complete annotation and historical notes. Dances that he noted without tunes have been set to their appropriate music by using period sources. The song "The World Turned Upside Down" is an English Ballad first published on a ship in the 1640s in protest against the Parliament's policies regarding the celebration of Christmas. At that time Puritans controlled Parliament and they believed the holiday should be a solemn occasion, and outlawed traditional English Christmas celebrations. Several lyrical versions exist. The song is sung to the tune of another ballad, "When the King Enjoys His Own Again." 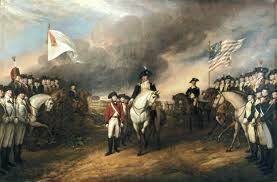 On October 19, 1781, General Cornwallis surrendered to Washington. He however, did not attend the surrender ceremony because he did not feel well. He sent General O'Hara in his stead. General O'Hara, first tried to surrender to the Comte de Rochambeau, the French General, who motioned the British officer to General Washington. Washington, in turn, motioned for O'Hara to surrender to Washington's subordinate General Lincoln. American tradition states that during the surrender ceremony, the British band played this tune. Other historians doubt the authenticity of the account. Yes, pstraubie48, music certainly does! Music plays such an important part in our lives and as done so throughout history. I'm always interested in folk music and the lore that goes with it. This was, indeed, interesting in that regard. thank you. This was so interesting...I am a American history buff as well as a home school educator and I learned a lot here, thank you! Now I need to research the part of history where the Puritans had control of the Parliament since I know the Puritans left England shortly before to escape the king's rule. 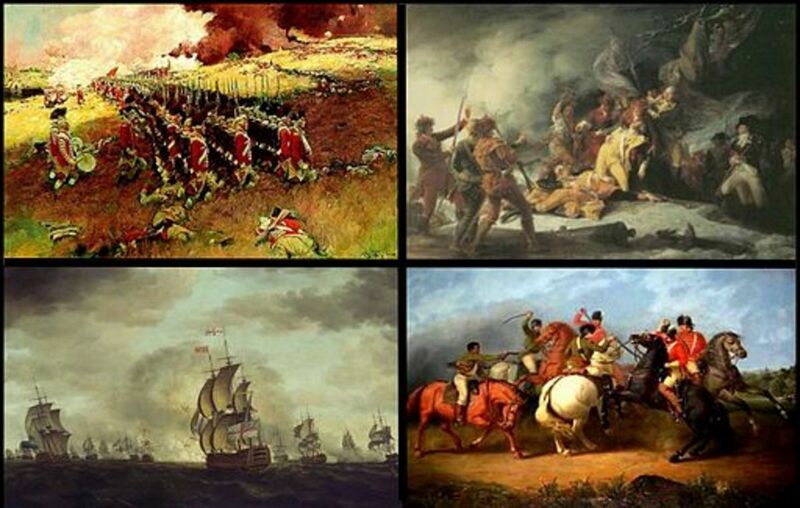 (My ancestor, William Bradford, was among them!) Voted up and interesting! I find it an honor that you found this interesting. As a historical fiction novelist, I come across a lot of research that I can't use in my novels but makes interesting (IMHO) hubs. That was a cool little history lesson. Thanks for the info; you peaked this old history teachers interest. Loved it.